I can be picky when it comes to ski touring pants. I’ll spend countless hours trying on different pairs in different stores before ever getting close to that one pair with that seemingly elusive mixture of features I want: a good fit, a few functional pockets, vents and a fabric that breaths. I know, I’m asking for a lot! But it’s not always easy to find a good functional pair of ski touring pants. 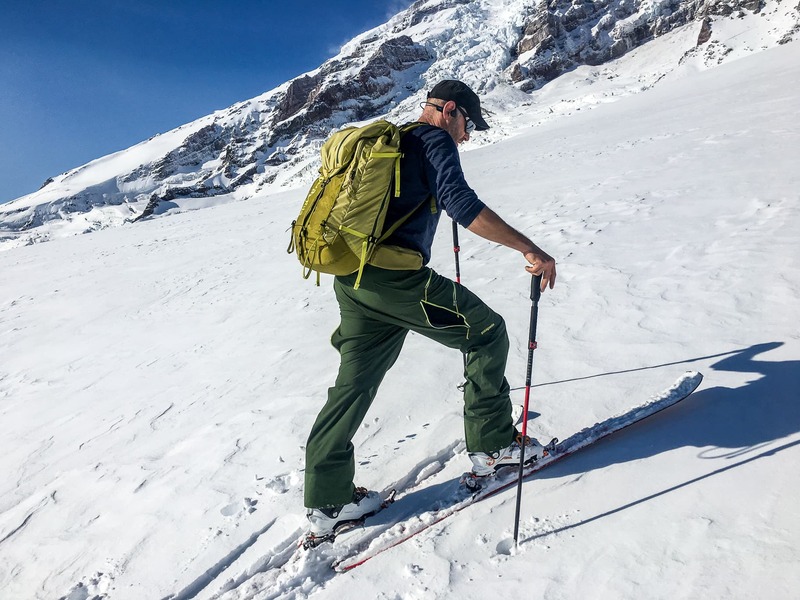 One such pair are the Descensionist ski pants from Patagonia. And while these pants may not be perfect they’re a fantastic ski touring shell. WAIST BELT & LOOPS: A lightweight removable nylon belt comes with the Descensionist though belt loops allow any belt to be used. 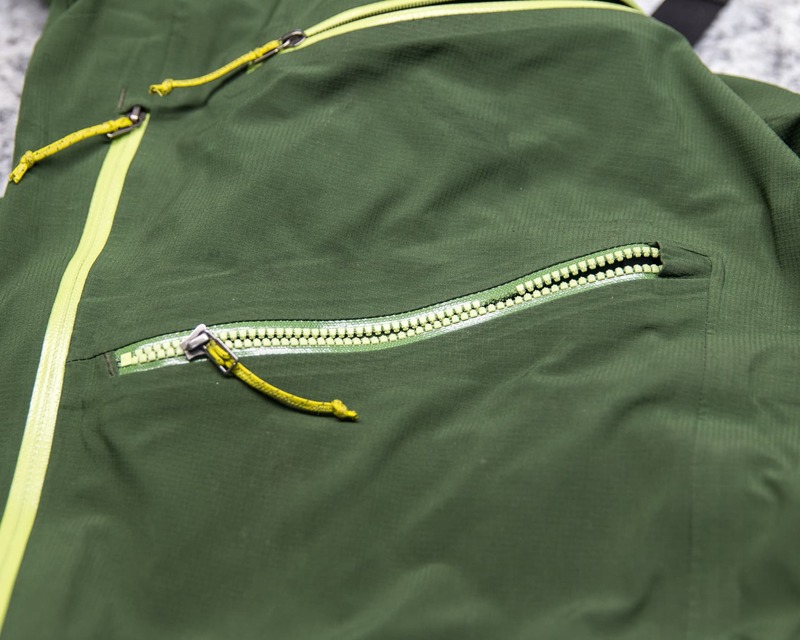 FLY: It’s a pretty standard zippered fly with two buttons. The zipper does extend right to the top of the belt though and so has to be done up before the buttons. 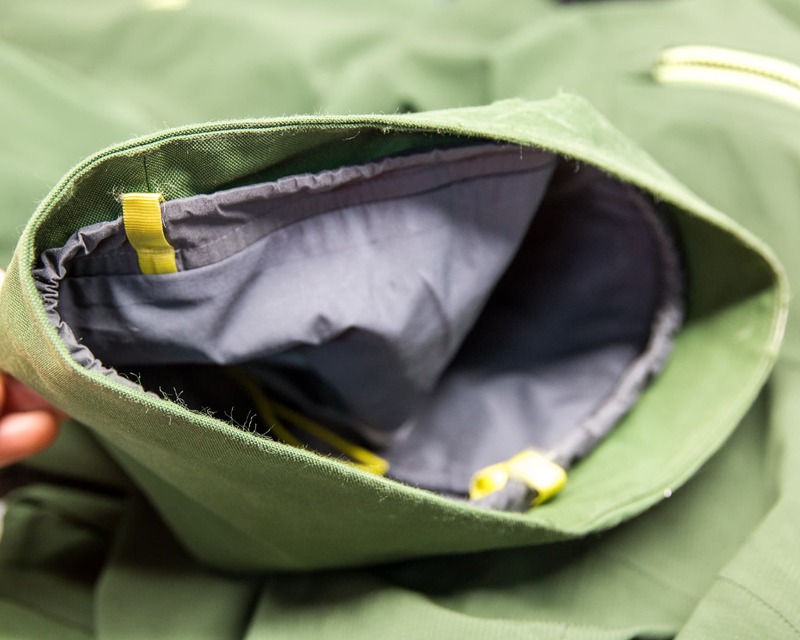 1 Hand Pocket: A large pocket with watertight zipper. The pocket extends down behind the thigh pocket just a bit though not enough to be an issue. The zipper feels backwards though, I would have preferred the closed position to be down and towards the outside of the leg. Not at all a big deal though. 2 Thigh Pockets: These handy pockets are big enough for just about anything you want to dump in there and topped with waterproof zippers. I often used them to ditch my touque, etc. on a sweaty uptrack. The right hand pocket also has an interior pouch for a phone, etc. but I prefer to use the hand pocket. On the down side the large zipper tends to loose teeth over time. Of course can be repaired under warranty. VENTS: Along the outside of each thigh, just behind the thigh pocket, is a 25cm zippered vent. These vents feature a double zipper and work quite well. I wouldn’t complain if they were a bit longer though. CUFF GUARDS: The standard heavy fabric around the cuffs to protect this high-wear area. SNOW GAITORS: My pair don’t actually have a true gaiter but rather a small cinch that can be used to tighten the cuff around a ski boot. They work fine while skiing but not for boot packing. That being said, I got my Descensionist ski pants for winter 2017-18. The 2018-19 version seems to have a more traditional gaiter so problem solved! 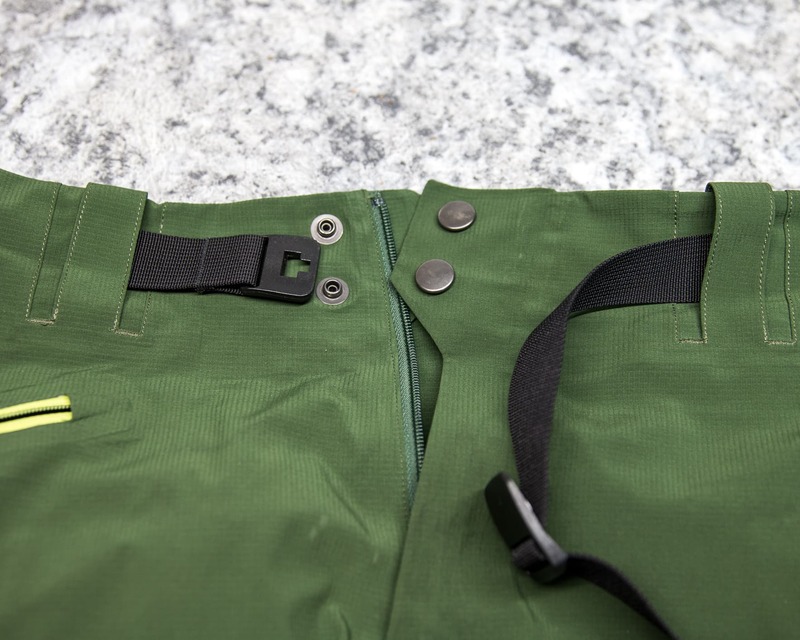 The waterproof-breathable fabric on the Descensionist pants definitely leans more towards breathable than waterproof. But the real question is are they waterproof enough. The answer is yes. They’re waterproof enough for skiing lap after lap of storm skiing while it’s just puking snow. 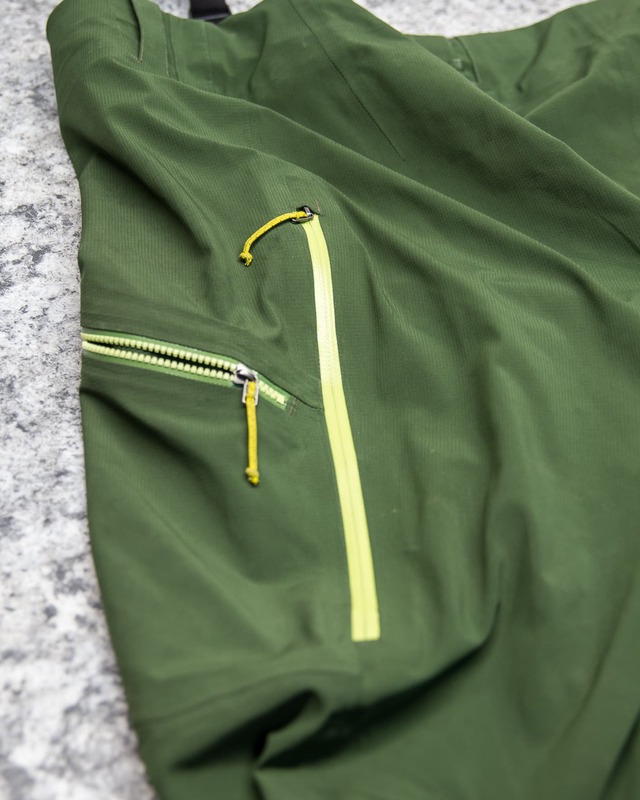 Waterproof enough to keep me dry on a few wet chairlift rides while I run some slackcountry laps or get up high before breaking into the backcountry. Even waterproof enough for some deep trail breaking and boot packing. They are not, however, waterproof enough to be out in the rain all day. But realistically, I don’t want to be out trying to ski in the rain anyway! An early season ski lap on Mt. Rainier. 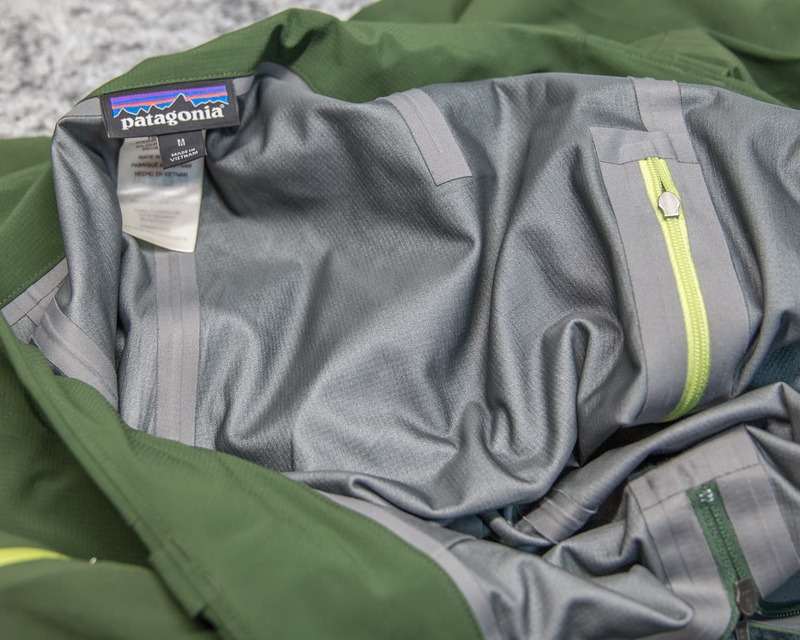 Of the flip side, Patagonia’s Descensionist pants breathe well and even have a little give or stretch. This makes them an ideal option for touring. The pants don’t feel overly hot or clammy on the up-track and don’t restrict movement. But they’re still waterproof enough to keep me dry. That is until I start boot packing. 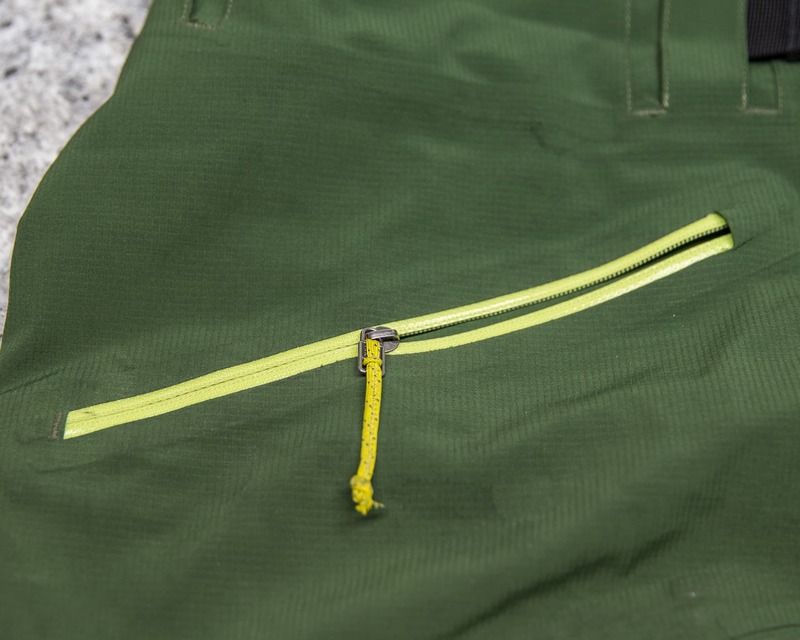 The pseudo-gaiters on the 2017-18 version of Patagonia’s Descensionist pants are more of an elasticized cuff. They work great so long as I’m on my skis. Start boot-packing however and the pants ride up and I get snow down my ski boots. Boo! However, it looks like the winter 2018-19 version of the pants has been updated with a proper internal gaiter so problem solved. 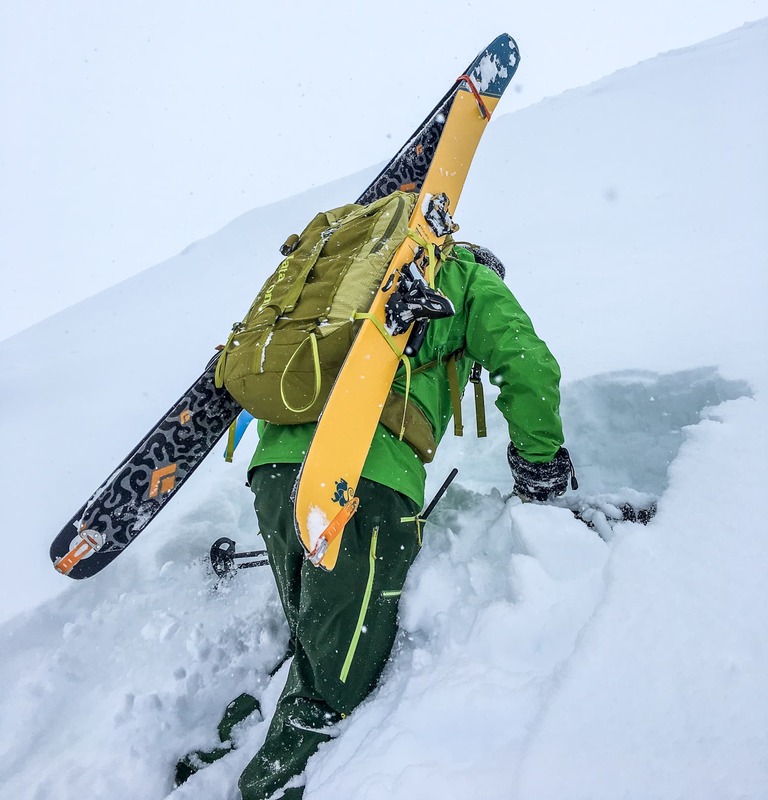 Steep boot-packing / wallowing. It’s at times like these I missed having proper gaiters on the Descensionist pants. 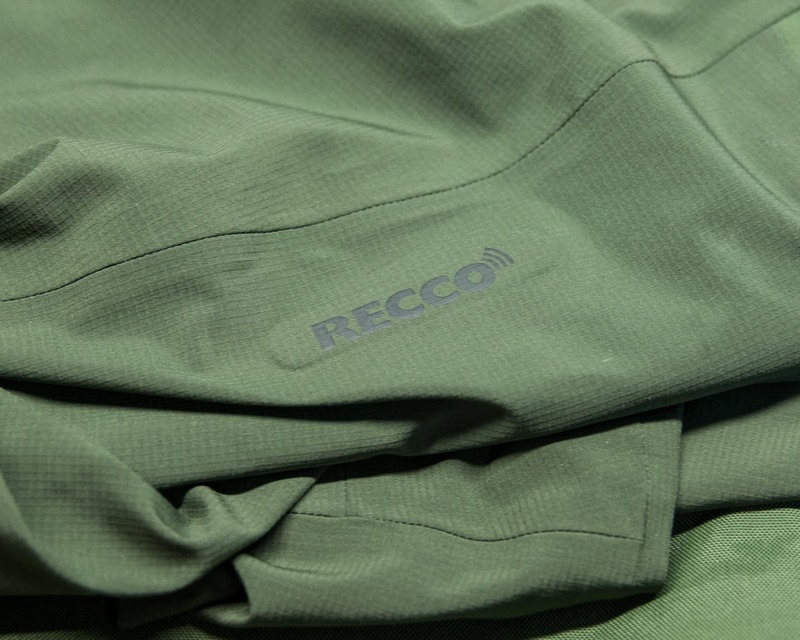 The interior facing fabric in the Descensionist pants is soft and doesn’t catch on base layers or skin. The Descensionist pants are well cut with articulated patterning and a relaxed fit that works well for ski touring. The interior facing fabric is soft and doesn’t catch on base layers. Or skin if you end up skipping the long johns on those long spring days. The fabric is also has a little give or stretch that really allows them to move with my stride. Given that they are quite breathable and a little stretchy they don’t really feel like a hard-shell at all. Rather a happy medium between a hard and soft shell. I typically wear a medium when it comes to technical pants and the Descensionist were right on the mark. A hair long for my 5’-10” frame so they’d accommodate someone up to 6’ without issue. The relaxed fit provides a little room in the legs without being overly baggy through the thighs. The cuffs are large to fit over ski boots and not restrict movement when touring though they could potentially be a little smaller. 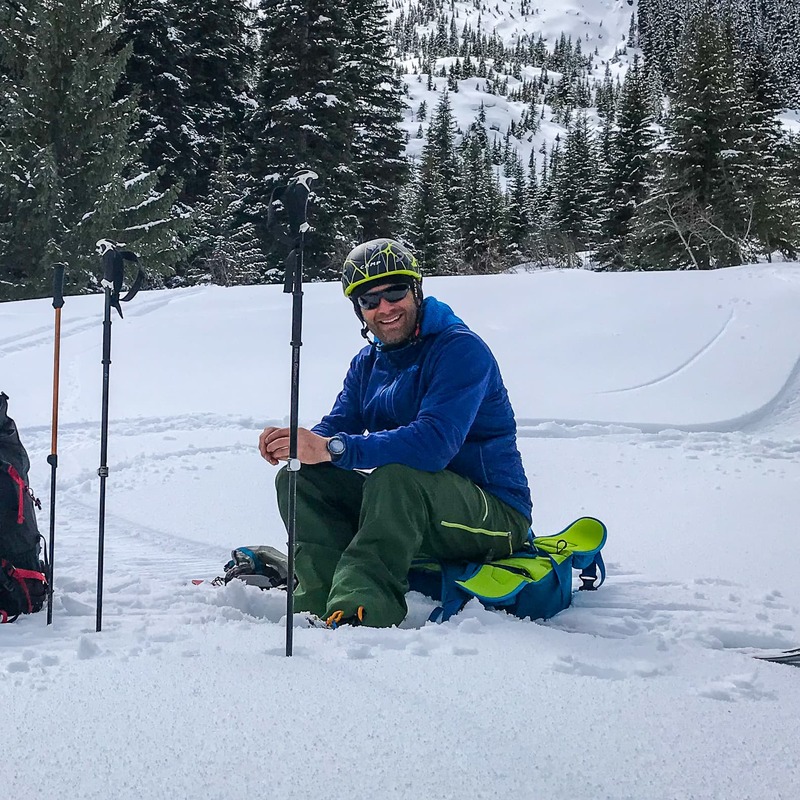 Overall: These are my go-to ski touring pants day in and day out. Ideal for anyone that want’s a little more protection than a soft-shell has to offer in a comfortable and breathable package. We were provided with a sample pair for testing but of course this didn’t influence our review in any way.